Top 5 drones - Take a look at the coolest drones on the market. Getting started with your drone - Master the basics and learn how to fly. Master photography and film - Learn how to capture amazing shots from a drone. How drones are changing the world - Discover the amazing ways drones are being used across the globe. 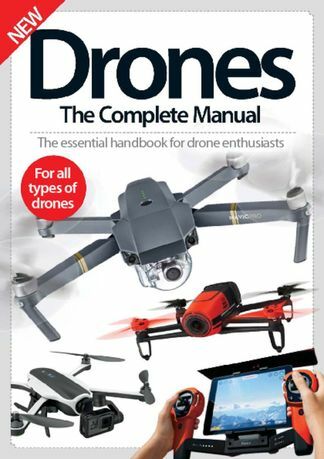 Be the first person to tell us what you think about Drones The Complete Manual and you'll save $5 on your next purchase!